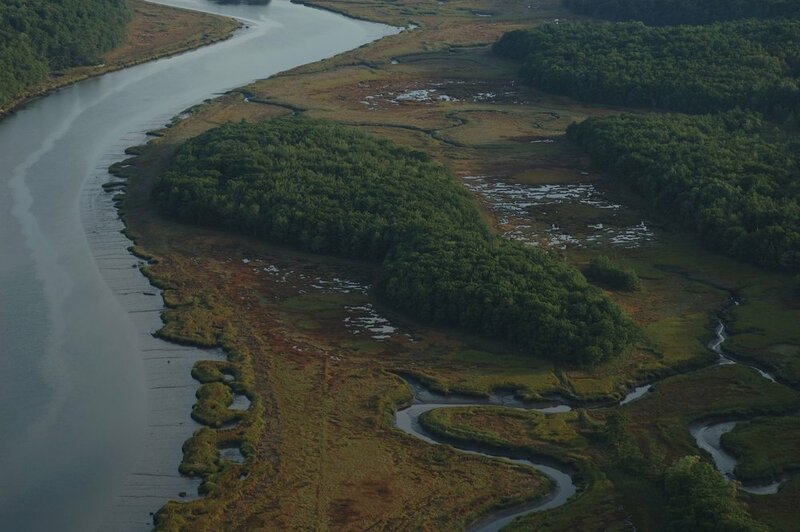 The Kennebec Estuary Land Trust is committed to conserving land and wildlife habitat of the Lower Kennebec and Sheepscot River estuaries. We are a community based membership organization serving the towns of Arrowsic, Bath, Bowdoinham, Dresden, West Bath, Georgetown, Richmond, Westport Island and Woolwich. Conserve, restore and instill appreciation of the land and water resources of the Kennebec Estuary to benefit today’s communities and future generations. Our Board of Directors is drawn from the communities we serve. In addition to our direct conservation work, we participate in fruitful collaborations with state and federal agencies and private conservation organizations under the umbrella of the Maine Wetlands Protection Coalition. This has resulted in the protection of over 18,000 acres of critical wetland habitat. Through mechanisms such as conservation easements, property donation and outright purchase, KELT is committed to identifying and protecting land in our region with ecological, agricultural, scenic, cultural or historic significance and providing access to the properties we own for non-motorized low impact recreation. Our land trust arose from discussions by the Arrowsic Conservation Commission in the late 1980’s concerning the need for a land conservation organization in the area. There was little understanding at the time of what such an organization was actually supposed to do, whether it should be organized at the Town level or service a larger area and even whether it should be a conservation or housing trust. Finally it was decided to convene a meeting involving representatives from surrounding towns to discuss the issue and possible alternatives. To view a timeline of our 20 years of conservation accomplishments please click on the links below (thanks to volunteer Pam Tetley for researching the content from our newsletter archive). Two of KELT's founders, Tom Barrington and John Doane, visit Thorne Head Preserve before is was conserved in 1998. KELT has achieved land trust accreditation from the Land Trust Accreditation Commission, an independent program of the Land Trust Alliance. KELT was awarded accreditation February 2014 and is one of only 398 land trusts from across the country currently accredited. Accredited land trusts are authorized to display a seal indicating to the public that they meet national standards for excellence, uphold the public trust and ensure that conservation efforts are permanent. The seal is a mark of distinction in land conservation.